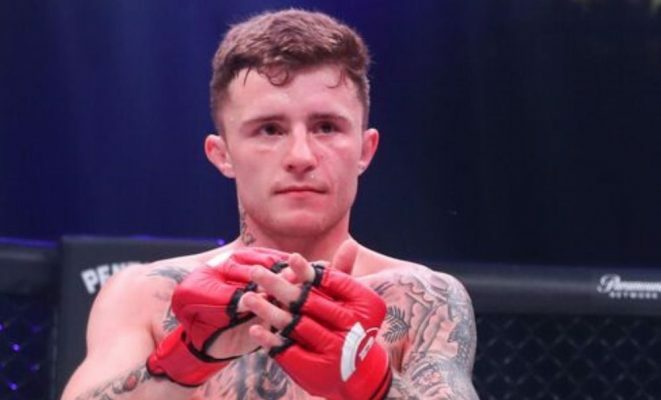 James Gallagher suffered the first loss of his career last evening and Jim Edwars takes a look at what is next for the "Strabanimal." Bellator 204 was one hell of a show. Though impossible to view from UK or Irish shores (ahem!!! ), the night produced everything you want from the perspective of an MMA fan. 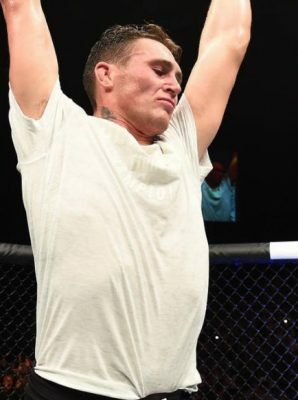 Great fights, highlight reel finishes, intriguing future matchups, new stars born and a twist in the tail in the career of young James Gallagher. Before we dissect the case of the “Strabanimal,” lets take the time to pay the respect and give plaudits to the performance of Ricky Bandejas. Many around the game heading into the fight said Gallagher was going to have a lot to deal with, but few ever predicted things would turn out the way they did. All week Gallagher brushed off the American’s chances. “Done in one” was a line reiterated by not just Gallagher himself, but those surrounding him and so it turned out to be; unfortunately for the Irishman, not the way he predicted. Some have pointed at Bandejas’ behaviour after the fight as undesirable, but only he had to deal with the lack of respect leading up to fight night on a personal level. What admirable strength of character from Bandejas to overcome what he did last evening and put on the show and finish that will no doubt be replayed for many years to come. A star was born in Bandejas, but looking on the other side of the equation, the reaction to Gallagher’s loss was predictable, but in a lot of cases embarrassing. I’ve always struggled to understand how one can take pleasure from someone else’s demise. No person on this planet other than Bandejas directly benefitted from Gallagher’s loss last evening but if you take on look at social media you’d have thought that a large proportion of the MMA community pocketed a million from his demise. Sure, Gallagher talked a big game and got undone on a world stage with the world watching via what can only be described as an incredible highlight reel finish. Isn’t that humbling enough? Gallagher often gets criticised for trying to be Conor McGregor but that’s not a reflection at all of his true personal character. He’s 21-years-old and like most of us that age we’re a product of our surroundings. At the most influential time in his life he’s seen a friend and teammate become one of the richest and most famous sport stars in the world, I would sure as hell look at what he’s done and probably subconsciously gravitate towards being like that person. The next 12 months and how Gallagher bounces back from this defeat will be the true test of what he’s about. Can he rise again? Does he have capacity to learn from defeat, fix holes and be self-aware enough to understand his shortcomings and fix them? This whole situation reminded me of a conversation I witnessed between Tony Bellew and Darren Till earlier this year about losing. Everyone in any walk of life loses and it’s all about how you react to it. I have a good feeling he will do and if he channels everything that happened last night in the right way he will come back better for having gone through this experience. One day he will look back at last night and understand the true value of it. At your lowest point, those who are for real stand by you and continue you on the journey, those who are weak or fake will stand still and revel in your shortcomings. Moving forward is always the best option.